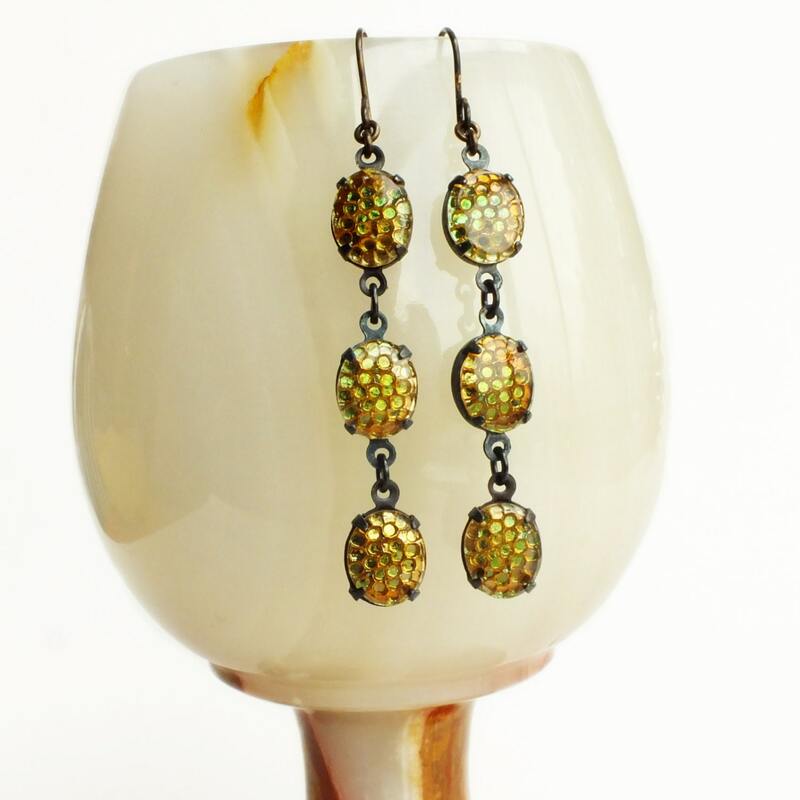 Handmade golden olive brown dangle earrings with vintage iridescent green glass thousand eye honeycomb cabochons. 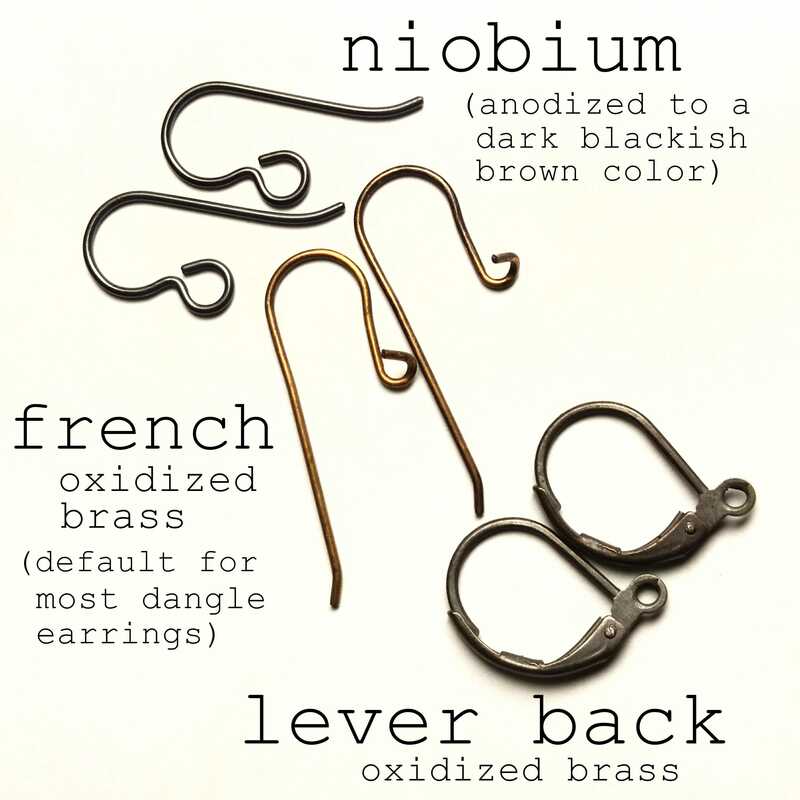 French oxidized brass ear wires and settings made in the USA. 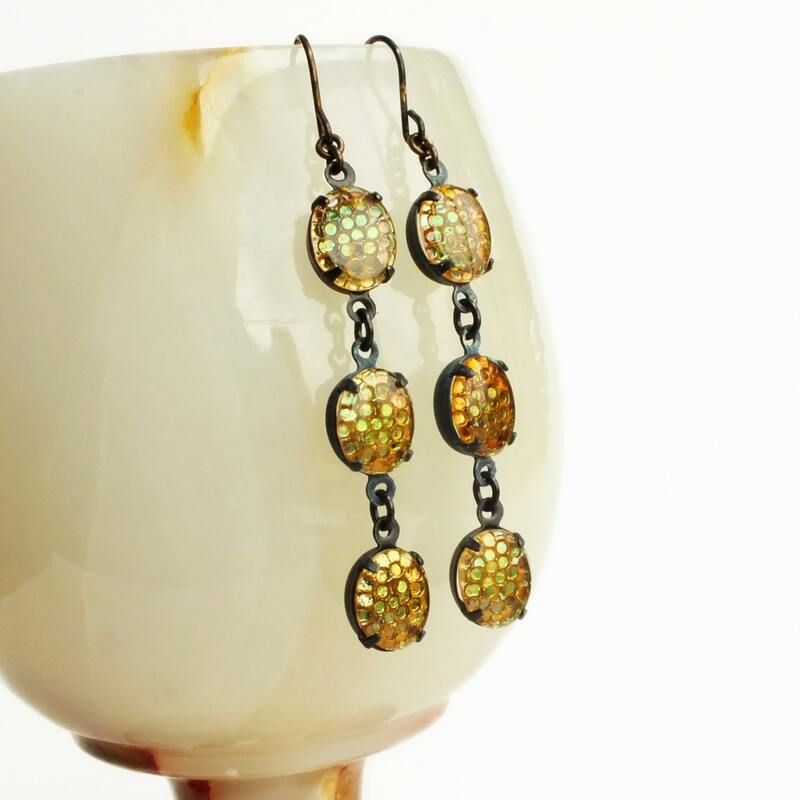 Sparkling dangle earrings made with very rare vintage color-shifting glass cabochons with an amazing thousand eyes / honeycomb pattern. 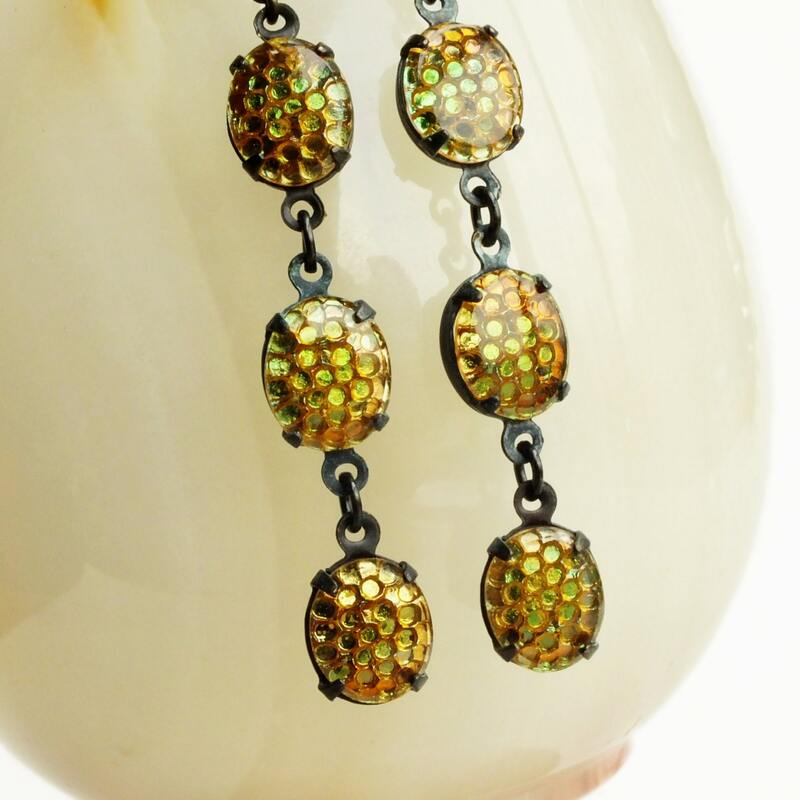 Head-on they appear mostly olive green and become a golden amber as you turn them sideways. 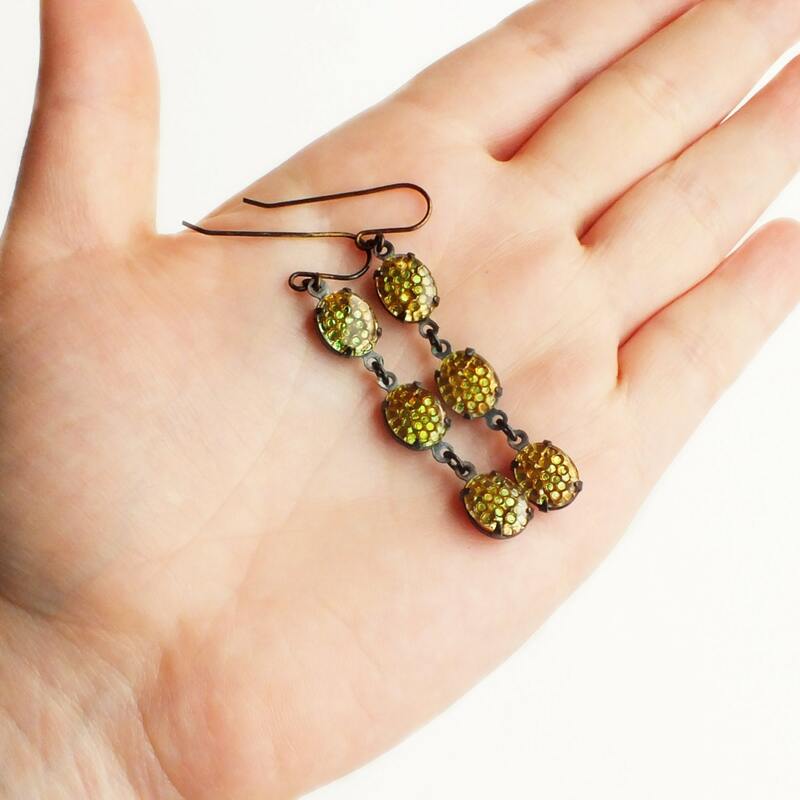 this palette is called 'Sahara Gold'. 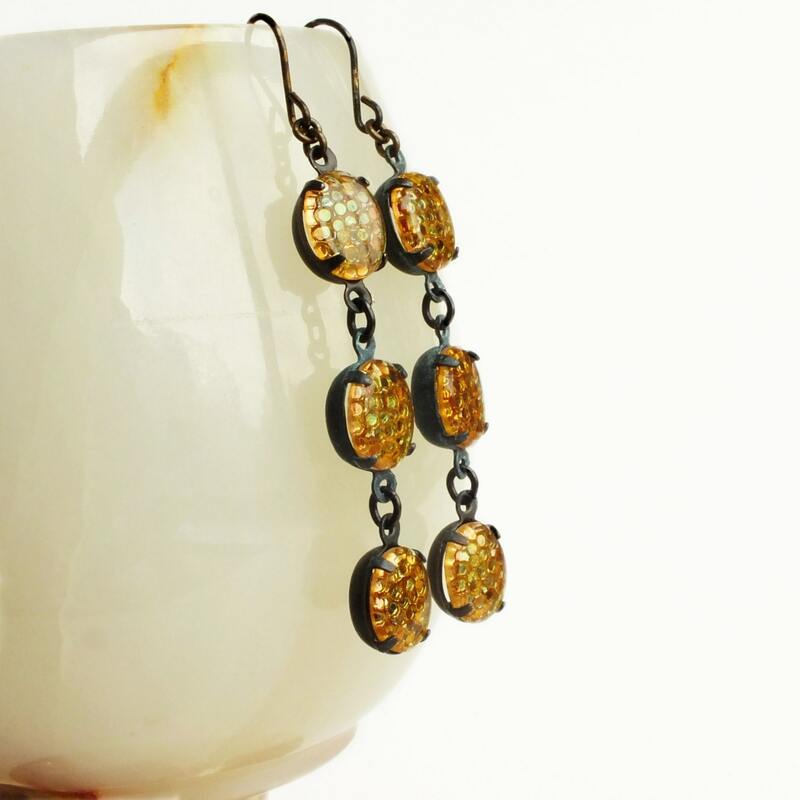 I set them in oxidized brass pronged settings.